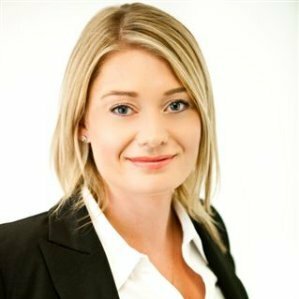 Claire joined Hamilton James & Bruce as an Associate Director before moving into the Director role for Queensland. 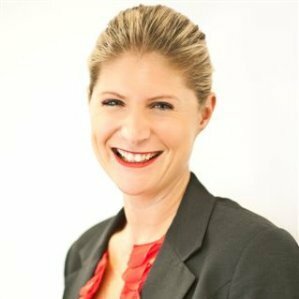 Claire has 13 years’ recruitment experience, gained within the United Kingdom and Australian market. Claire has worked for leading global recruitment firms, giving her exposure to international recruitment processes and procedures. Claire’s recruitment career has been primarily focused upon Accountancy and Finance, Project Management and Executive recruitment. As such, Claire has successfully provided candidates for a range of temporary and permanent positions within Private, Government and Not for Profit organisations. Her sectors of expertise include Legal, Mining & Resources, Oil & Gas, Construction, Property, Energy, Education, Health and Manufacturing. Claire’s experiences as both an external and internal recruitment consultant have given her an in-depth understanding of the practical applications of Employment Law. As such, Claire has assisted various clients with organisational restructures, the development of new job descriptions, nominations for specific salary banding per role, and coaching in interview techniques for newly appointed managers. Jelissa is Director of Mansell Taylor Consulting, with a focus on Information Technology recruitment Jelissa has built a reputation in the market as the consultant that gets it right. With over 7 years recruitment experience within the local market, coupled with over 5 years Senior Account Management experience gained in both Australia and New Zealand. Jelissa has worked for leading global recruitment firms which have provided her with exposure to international recruitment processes and procedures. For the duration of her recruitment career, Jelissa has provided successful candidates for temporary / contract and permanent positions within Commercial, Professional Services, Government (Local, State and Federal) and with Not For Profit sectors this includes Mining & Resources, Oil & Gas, Construction, Property, Energy, Utilities, Education, Health and Manufacturing. Jelissa’s experience within the Information Technology and Executive Management field and knowledge gained partnering with some of Australia’s most sought after employers, coupled with the strong relationships and networks she has built with high calibre professionals has been a coup for her clients, with her proactive and consultative approach she has the ability to provide high quality professionals at speed. Jelissa’s focus is on placing highly skilled candidates; her specialist market knowledge, agile approach and strong network are an asset sought after within temporary/contract, permanent and executive positions. She demonstrates a consultative approach, with a focus on both technical competency and organisational culture fit, ensuing that they are aligned for both candidate and client to ensure a harmonious solution for all parties.